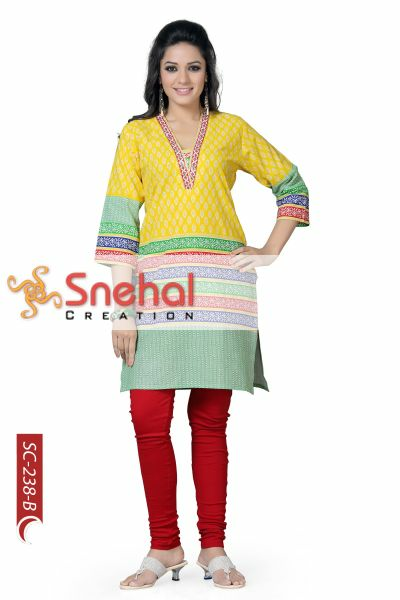 Soak in the influx of prints into your wardrobe by welcoming this Ever Gleeful Cotton V-necked ShortTunic Top for Women, brought to you by Snehal Creations. 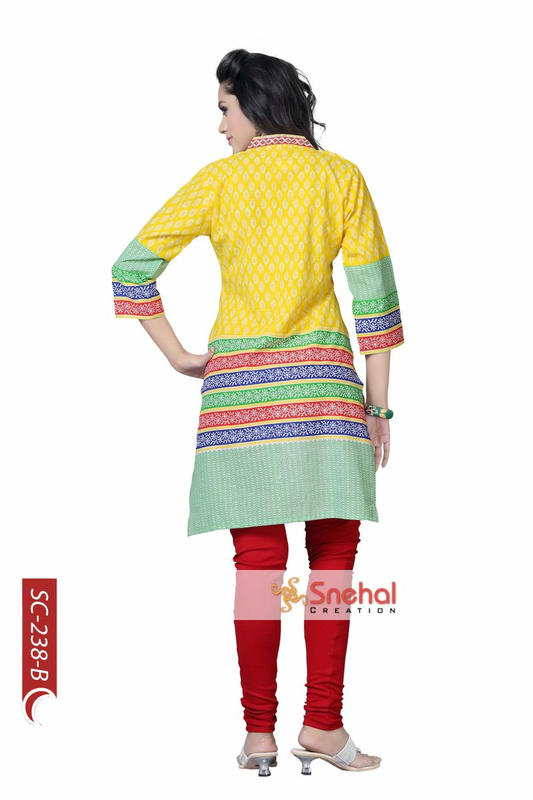 The multicoloured tunic has the uppaer half of its length done in bright yellow , followed by blue; green and red coloured printed stripes. 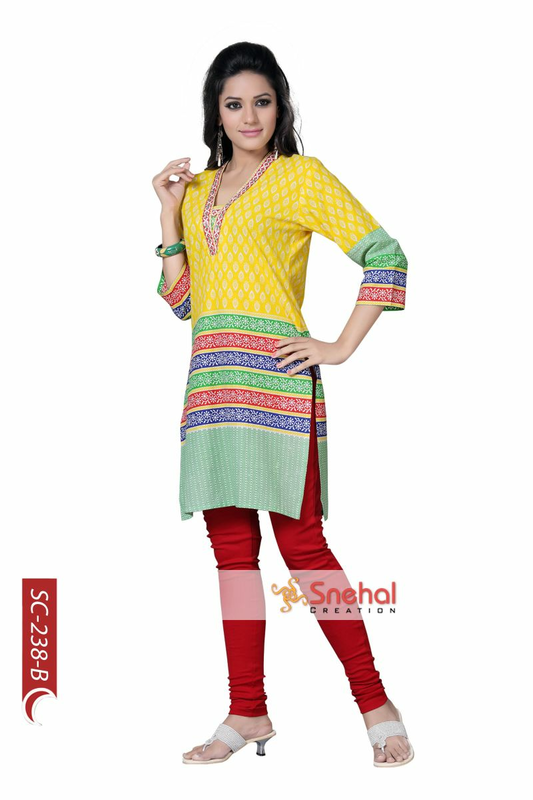 The length of the sleeves of the cotton tunic is also three fourth and is a boon for summers. Flaunt that V-neck design with a contrast off white leggings and you are good to go.